Was a big playroom clean-up on your list of new year’s resolutions? Four months later, have you followed through or, like me, swept it under the carpet? It never ceases to amaze how such little people can make the house look like it’s been hit by a tornado each and every day. And it just gets more and more chaotic as toys, artwork and child-related paperwork accrue over time. If you’re in the same slowly sinking boat, take heart – there’s help at hand. Professional organiser Georgie Rees says it’s not just the mountain of baby gear, washing and toys that make homes with kids disorderly – many of the SOS calls she receives from families relate to paperwork management, whether it’s the digital or physical variety. 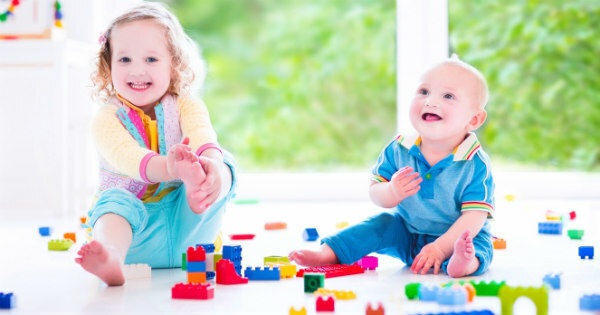 She says many parents are simply time-poor, and the clutter can get overwhelming. She says it’s best to try to stop the clutter from entering in the first place. But failing that, you’ll need some foolproof tips to manage the mayhem. “Not the place that you are procrastinating about the most,” Georgie says. Determine that you want to reduce the number of items in a particular area by at least a quarter (or however much space you need to make). “This helps you to stay on track and ensure you are making a difference,” she says. This may mean grabbing items from other areas in the home. “You will soon easily see what you have excess of and it will be easier to decide what needs to be passed on,” Georgie says. So now that you’re ready to take on that mountain of mess, how do you actually go about it? Before birthdays, Christmas or even Easter, help your kids work out what they can pass on to other kids – via donation or to a relative or friend – to make room for new toys. Turn a cupboard or drawer into a toy library. Every time your child wants to “check out” a toy, they must first bring back another they have borrowed. Make a 24-hour rule on those plastic novelty toys from fast-food places or party bags. No one will miss them. Put everything in a cupboard, on a shelf, or in a drawer or a bin. “Every plaything needs a designated home. With a toy box you’re throwing anything and everything inside, it’s a jumble, it’s a mess,” Laura says. 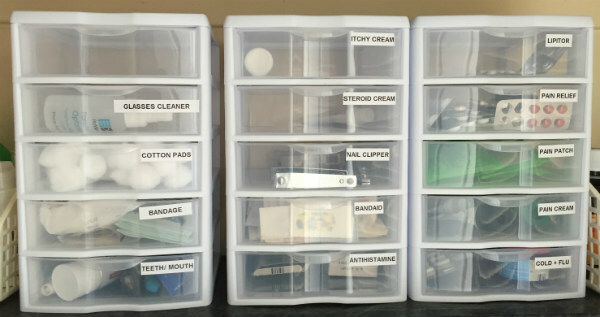 Categorise the toys and keep each type in a separate box or area. The idea is that only one box needs to be accessed at one time, for example just the Lego or the action figures or craft. When the child is ready to move on to another set of toys, the first box gets packed up and the next one can come down. They help keep things together, plus you can see the contents without having pull each one out – and they’re easy for kids to open. Use them to keep small toys and accessories together – for example, all your Barbie accessories or Lego bits and bobs. Under-bed storage can be a sanity saver, and a wise way to use space. As you’re cleaning up, inevitably you’ll find parts of toys or sets floating along. Have a small box in which you collect random pieces of toys/games. When you find the toy they belong to, they can be reunited. There’s plenty of fabulous ideas for storage in our post archives to get your own decluttering adventure started. Let us know how you go!